Scores of children at a school in Peru have suffered seizures and described visions of a man in black trying to kill them in what locals say was a mass case of 'demonic possession'. 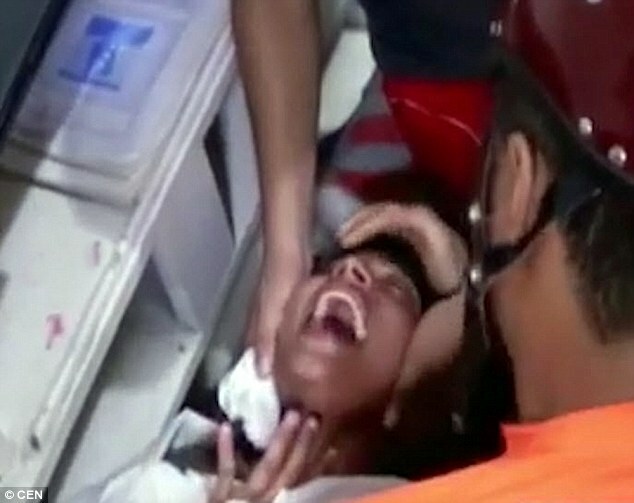 Disturbing footage has emerged of up to 80 students convulsing, screaming and fainting at Elsa Perea Flores School in northern Peru's Tarapoto. Dozens of youngsters gave been experiencing the supposedly contagious 'condition' since it was first reported in April. Shocking video shows pupils who are barely conscious, repeatedly screaming, and who appear to be delirious. Doctor Antony Choy told national channel Panamericana TV: 'We don't understand how this has kept going on. 'We know it started on April 29 and now it is still happening. Now there are almost 80 pupils [still affected]. This coming only weeks after similar mass possessions in Malaysian schools.